The GOP is behind some pretty feverish handwringing, and political forecast second guessing - these days. The Bush Republicans were so blown out of office just one and a half short years ago - in such a complete and devastating manner - that they are anxious to see if they can maintain their now-tenuous hold on power. They've failed in nearly all of their stated 2008 Agenda. This is of course, paid for by the shady people who are paying for big political ads that run everywhere. After all, political consultants have to get money to skew the poll results. Normally, they put money into both parties, and try to play one off the other. So that when the other party makes it into power, they've got just what they need to accomplish their objective. This election cycle, the lobbyists have all their money on the GOP. They've bet nearly 85% of their money on the Bush Republicans. And of course, the Bush Republicans told them that when they win, they will be able to drive down main street and everyone will throw flowers at their feet. But nobody really knows. 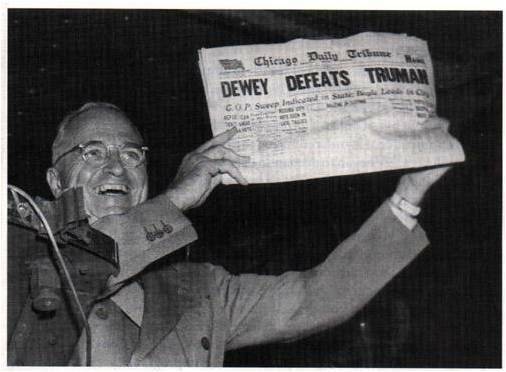 In the past, there were storied contests that were so well decided by the polls - that the newspapers printed the headlines in advance , only to find the voters... had a surprise waiting for them. And it could happen again. The important thing to remember is that even if you are not 'political', or if you think it won't matter - just take a moment, surf the net. Avoid the google bombs that people have laid out for you. It's a minefield out there. Take steps to make sure the results you're getting aren't just the results someone wants you to see. Avoid the nutjobs. Avoid the slick, polished - pay for play elevated search results that come up to the top only because they tricked 50,000 people to make them come up to the top. Just do a little bit of work. It might take an hour. Maybe two. No more. Do all of this with a sample ballot in your hand. Then. Cross off the bozos. And when you're on your way in to work in the morning - or, better still - on your way home early one day - cast your early vote. Chances are, the early vote polling station is closer than your polling place. And it's a great excuse to take part of the day off. Go in, cast your vote. Chill afterwards. At least for a while. What this buys you is the ability to ignore all the weird road signs - that if you looked at them aren't even paid for by the candidate anymore. Blow off the strange TV ads that are run by shady organizations. Smile when people talk about the criminal buyout of our democracy. You have just ccreated a huge short circuit for the lobbyists. And like the TEA party revolts in at least three big races in the US - you'll have knocked over the lobbyists once and for all. It will be hilarious to see what happens after the votes are counted. Don't worry if your guy seems to be a hopeless cause. When the British sent their massive armies to shut down the United States during the dawn of our nation. There were plenty of people who would say, be kind to the British - let them camp in your fields - after all, they're going to win. But thanks to shady campaign financing, this year, they're all marching in a straight line and wearing red. And you get to hide from behind rocks and trees and shoot at them as they go by.